We all want to be healthy, and one of the ways that we can do so is by doing breathing exercises in the proper way. It is no mystery, that life in a busy city such as Dubai or Abu Dhabi carries the burden of stress and sometimes we forget to breathe or our pattern of breathing changes. In this blog, we will outline the importance of breathing correctly through breathing exercises with some constructive tips. Deep breathing is one of the best approaches to bring down stress in the body. Perhaps, you may have noticed that when you breathe, your body feels relaxed. This is because when you inhale deeply, this gives signals to your brain to rest and relax. The brain then sends its own signals to the other parts of the body to bring down stress. What happens is that your heart rate, blood pressure and breathing decrease to a normal rate, so you become more relaxed. The manner in which you breathe influences your entire body. Breathing activities are effective methods to relax, diminish stress, and normalize blood pressure. Contrary to what people think, breathing exercises are actually easy to learn. You can do them whenever you need to do them, and you needn’t bother with any extra devices or equipment to do them. Breathing is naturally easy when your lungs are healthy. Your diaphragm is the one doing the majority of the work in filling your lungs with oxygen and other gases and in passing out carbon dioxide. Over time, the lungs are affected with ageing and with other diseases such as chronic obstructive pulmonary disease and asthma, so it loses its healthy elasticity. As a result, the lungs do not assume their usual state after breathing and some air gets trapped in the lungs. As time goes on, old air builds up so the diaphragm becomes less efficient in bringing in the fresh air. The body senses this and tries to use other muscles for breathing, such as the back, the chest and the neck muscles. This leads to lower oxygen levels in the body, making you more tired than usual. 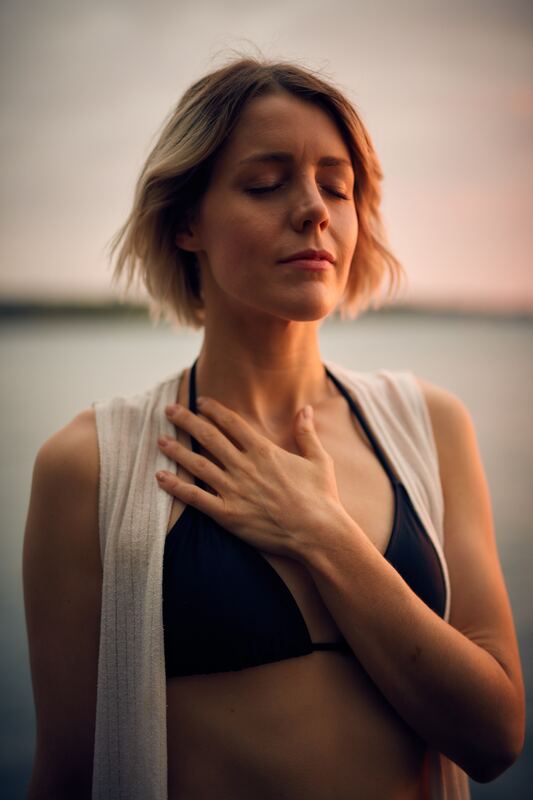 Breathing exercises, when done every day, can get rid of this trapped air inside the lungs so that your body gets adequate oxygenation and the diaphragm is able to work normally again. We are now going to discuss how to do breathing exercises. In general, breathing exercises are divided into two: breathing exercises for relaxation and those for increasing energy and focus. You can choose one of these exercises based on your needs. Try to do them everyday for a few weeks until it comes naturally to you.